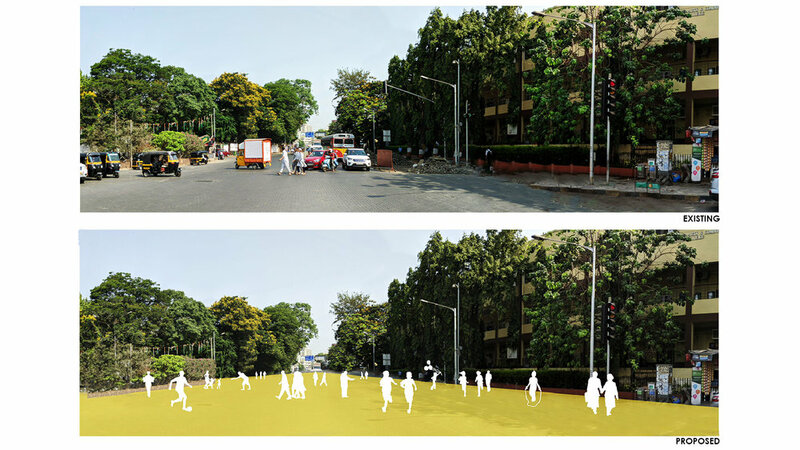 A row of street shops currently divides Linking road from a large and beautiful Public Park known as Patwardhan Park. 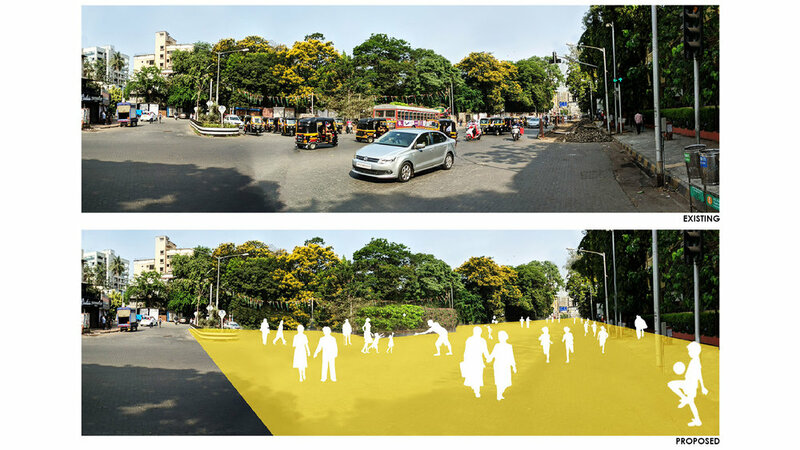 The Linking Road Park Project aims to bring into plain public view and open access to Patwardhan Park that currently fronts Linking Road, a prime retail property, but is fenced off both physically and visually by the row of 96 street shops, mainly shoe shops. 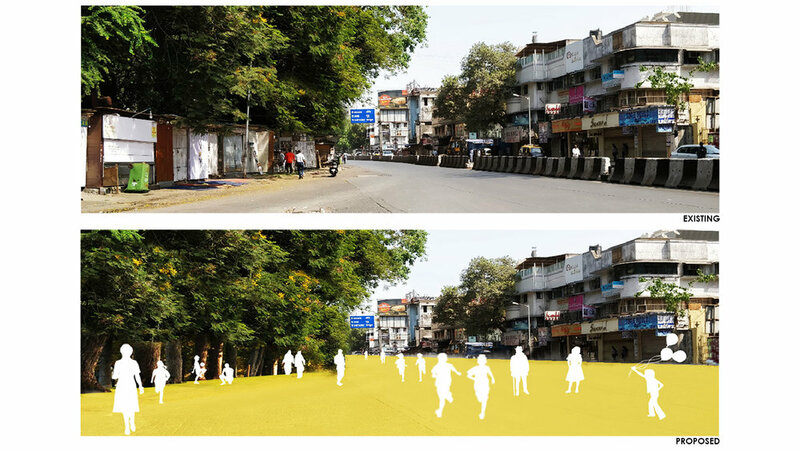 To achieve this, a small extension of Water field road which is present on plan but is not motor able due to illegal temporary shops and has a high pedestrian volume. This road needs to be converted into a pedestrian plaza. 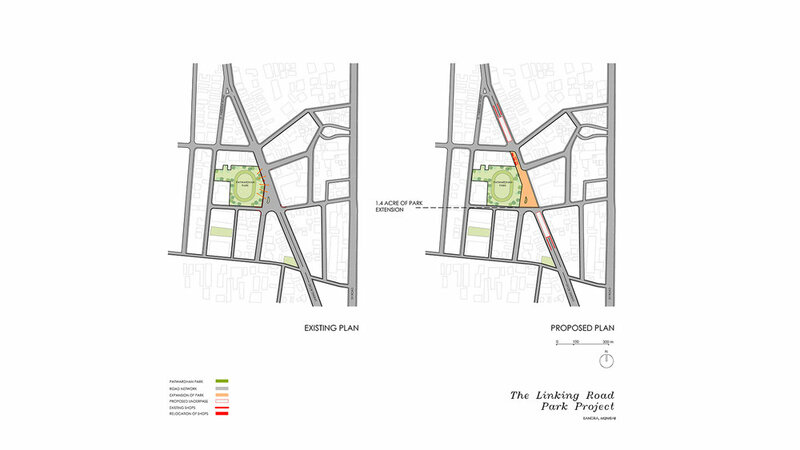 Relocation of the shops from the perimeter to the plaza allows for the complete opening up of the park to the entire street front. 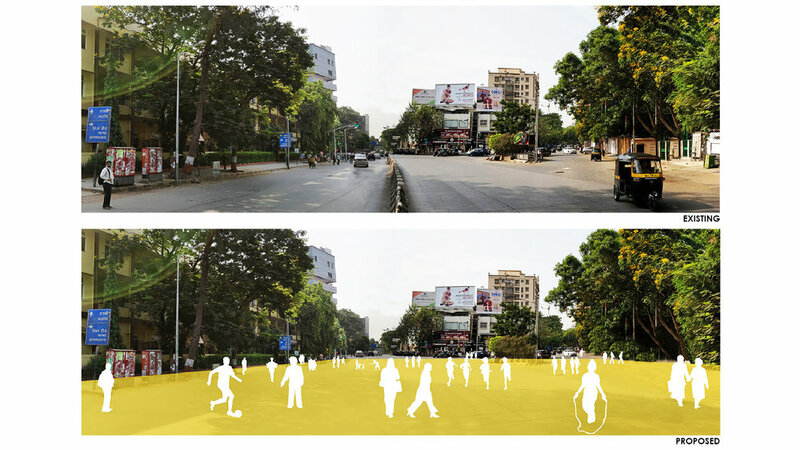 This would benefit not just the residents of the neighbourhood but also millions who throng street shops, the general motorists and pedestrians. 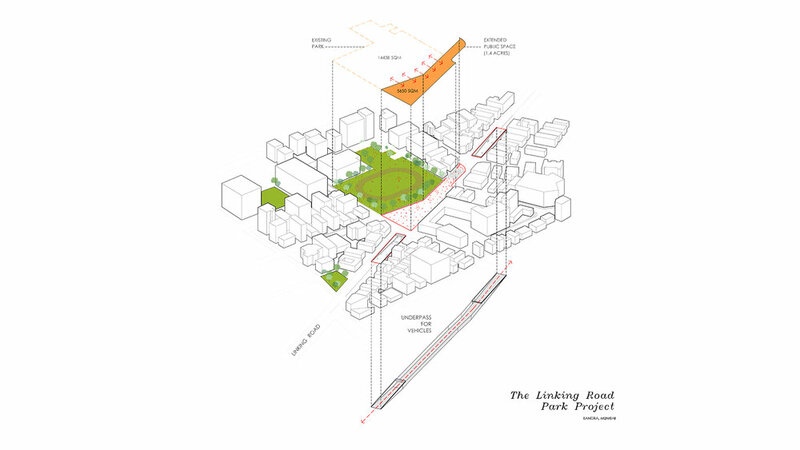 The Educational and Commercial buildings along Linking Road would now have access to the beautiful park.